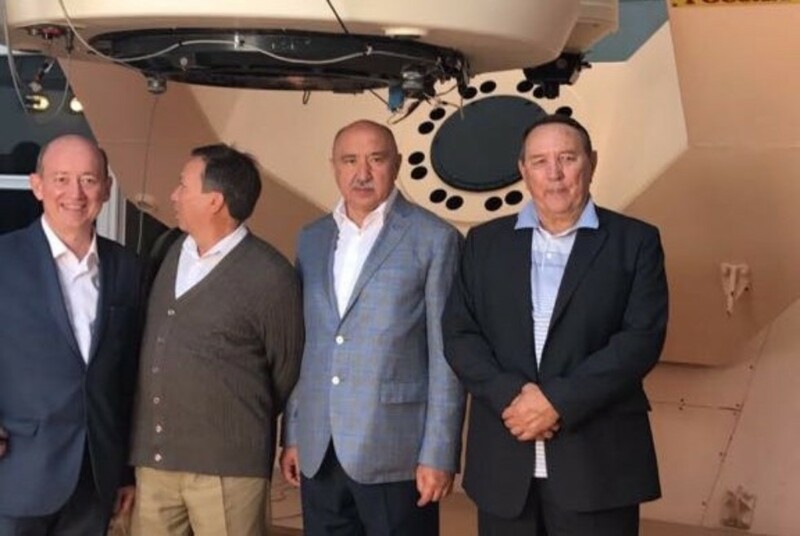 The visit coincides with the celebrations of the 20th anniversary of the Tubitak National Observatory. On September 8th, Rector Ilshat Gafurov and Vice-Rector Dmitry Tayursky are participating in a scientific conference dedicated to the 20th anniversary of the Observatory. The main topics of the conference do not only touch upon space research, but also the development of scientific cooperation between Russia and Turkey. Speaking at the opening ceremony, Dr. Gafurov emphasized the importance of developing international scientific projects and voiced the need to support cooperation between groups of scientists in Russia and Turkey. In accordance with the Agreement between KFU, the Institute of Space Research of the Russian Academy of Sciences and Tubitak, signed in 2014 in Moscow, in 2018 – 2028 the RTT-150 telescope’s main objectives will be linked to ground-based optical support for the Russian-German X-ray observatory Spektr-RG which will be launched into orbit in September 2018. “Astronomers of Kazan Federal University, within the limits of their time quota on RTT-150, will work in optical identification and research of physical parameters of new X-ray sources detected by the SRG”, said the Rector. “Together with Russian and Turkish partners in the RTT-150 project, Kazan University will continue to equip the RTT-150 telescope with new modern high-precision scientific equipment and develop a 1.5-meter telescope automated control system in the direction of remote methods”. Currently, seven optical telescopes with mirror diameters of 0.4 meters to 1.5 meters are installed and operate at Tubitak. The largest telescope of the Observatory is the 1.5-meter optical telescope manufactured in 1995 by the order of the Kazan University in St. Petersburg and installed as per the 1995 Joint Agreement between Kazan University, the Space Research Institute of the Russian Academy of Sciences (Moscow) and the Council for Scientific and Technological Research of Turkey (TUBITAK). Joint efforts of the partners created an automated remote control system for a telescope, a set of modern scientific equipment, including highly sensitive CCD photometers, high and low resolution spectrometers, which allows studying objects of various physical nature in the Universe. The 1.5-meter telescope became the basis for fruitful Russian-Turkish cooperation in astronomy and astrophysics. It is no coincidence that the telescope is officially referred to as the Russian-Turkish Telescope (RTT-150). During the 15 years of its work, it has gained fame in the astronomical world thanks to scientific results obtained by Russian and Turkish scientists, which have systematically been published in the world’s leading journals. During the meeting, a wide range of joint projects between KFU and universities of Turkey was discussed. Since 1990, Kazan University has considered academic and scientific cooperation with universities and scientific and educational centers of the Republic of Turkey as one of the strategic directions for its international activities. Turkey took the second place in terms of the number of departures of employees and students of KFU with scientific and educational purposes: in 2012 37 representatives of Kazan University were sent to Turkish universities and organizations, in 2013 this number was 71, in 2014 – 89 people, and in 2015 – 78. On May 18, 2017, Rector Ilshat Gafurov met with Rector of Bosphorus University Mehmed Ozkan. During the meeting, the parties discussed the possibilities of cooperation in robotics, medical simulators, new materials, and humanities. As a result of the visit, in July 2017 another delegation from BU arrived to Kazan. On June 21, 2017, during the 2nd TheOR Conference (“Thermal Methods of Enhanced Oil Recovery”), a cooperation agreement was signed between Kazan Federal University and Middle East Technical University. The agreement provides for the expansion of joint projects in oil extraction technologies. The Tubitak Observatory’s conference will last for two more days.